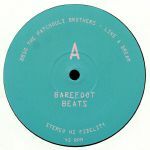 Review: Barefoot Beats is a series of EPs released on Mareh Music, a record label based in Sao Paulo whose people are also the curators of the Mareh music festival in Boipeba - a remote island in Bahia. 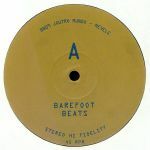 For their label's ninth edition, Rio de Janeiro's Joutro Mundo (Midnight Riot/Outra) delivers an edit of a lovely neon-lit boogie down number on "Revele", while on the flip the man from New York City Jkriv (Razor-N-Tape) gets a deep, soulful and life-affirming number into the mix with "Povo De Zambi". The Patchouli Brothers - "Like A Dream"
Bernardo Pinheiro - "A Maquina"
Next online in 32 hrs 54 mins.